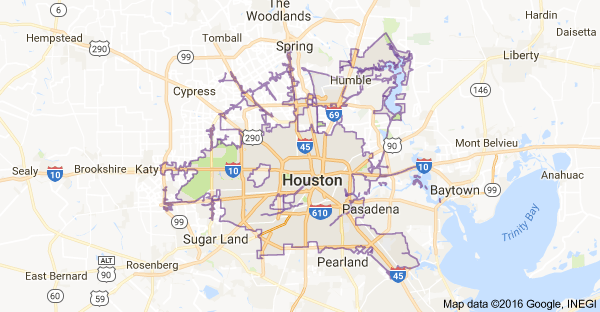 If you believe you need Sewer Cleaning Services in your Houston, TX home, don't delay. Call (713) 936-9826 right away. Water Jetting and Sewer Cleaning Services Houston. All drains within your home lead to the main sewer pipe which is located underground. This pipe runs from your house to a city sewer line. Your main sewer line can become clogged by debris from the drains throughout the house, or by tree roots that penetrate pipe joints. 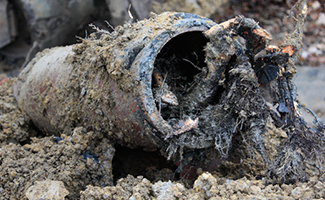 If your main sewer line clogs, toilets and drains throughout your home begin to back up. This situation is stressful and emotional. In some cases, it may cause health and safety concerns, as well property damage. A proper response to a sewer backup is important to prevent stress and damage to your home. That is why Winters Sewer Service has 24-hour emergency service for sewer backups. We’re experts for homes of all ages. 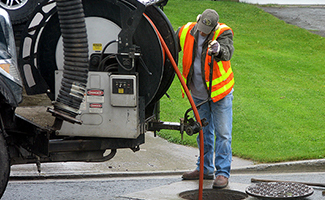 Our technicians use state of the art water jet sewer cleaning tools to clear sewer backups. If there is evidence of other problems with your main sewer line, we use video camera inspection to diagnose the conditions inside your sewer. Video inspection allows us to evaluate sewer problems that can not be solved with high pressure water jetting. We will share our findings with you and propose a solution. Water Jetting Sewer Cleaning Houston clears and unclogs the toughest sewer problems. Call and make an appointment that’s convenient for you. We’ll show up on time, listen to your needs, analyze your sewer cleaning problem, make recommendations and help you determine the best solution based on your wants and your particular situation. We promise to take great care of your home. Our sewer technicians wear shoe covers, put down drop cloths, are trained to perform the work you need and will thoroughly clean up the work area. We follow up with a phone call to be sure you are satisfied. We stand by everything we do.